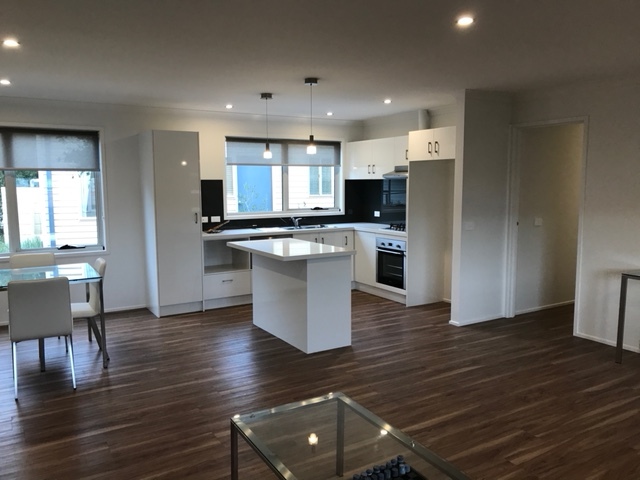 The Sorrento 3 bedroom relocatable home / granny flat is the largest in the Willow Grove granny flat / relocatable home range. Measuring a 13.2m x 7.5m totalling 99sq.m it also has a 1.5m verandah running the entire 13.2m length. Opening to a tiled entry and into a modern large open plan Kitchen/Living/ Dining area, this granny flat feels like a good sized relocatable home, not a granny flat. The Kitchen has plenty of bench space and loads of storage, while the island bench is the perfect location to place a couple of stools. Three generous sized bedrooms with the Master Bedroom comfortably accomodating a Queen size bed, all have built in robes with sliding doors. The large bathroom is equipped with a corner shower recess, vanity cupboard with ceramic basin, heater/fan/light, and a bath! A separate W.C. and Laundry with stainless steel trough and Linen/Broom cupboard complete this large granny flat. 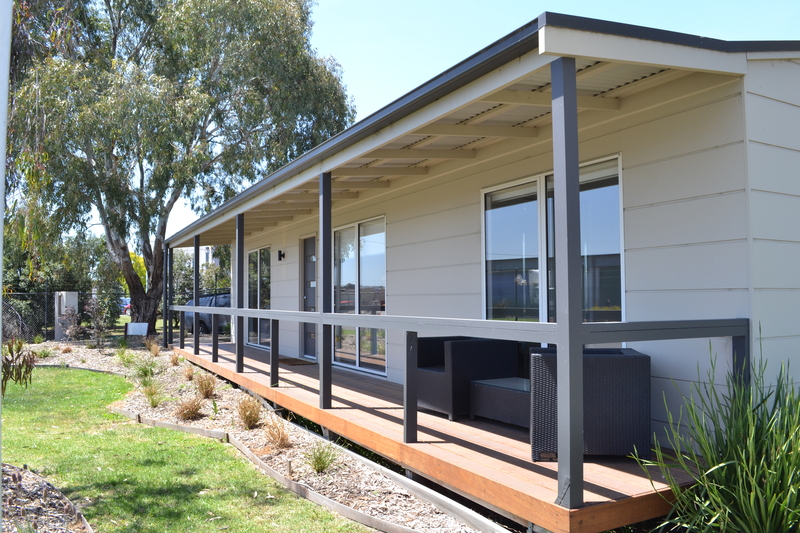 This relocatable home is perfect as a large granny flat in your backyard, on a block on its own or even the family holiday retreat in a caravan park. 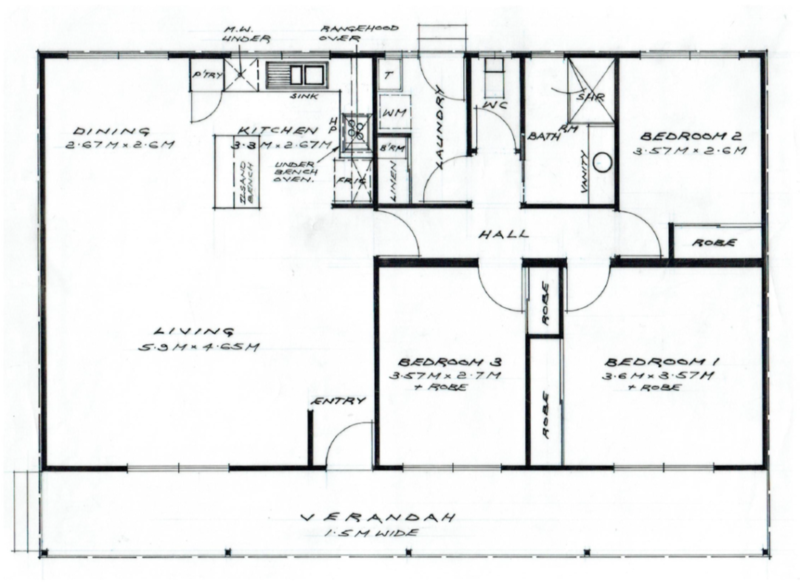 When it comes time to move this granny flat, the verandah is removed and the home is separated into 2 sections and transported / relocated in 2 pieces. For more information or for a plan and price on the Sorrento cottage, please Contact Us or read our Frequently Asked Questions page. 6 Star Energy Rating which includes Double Glazing to all your windows! 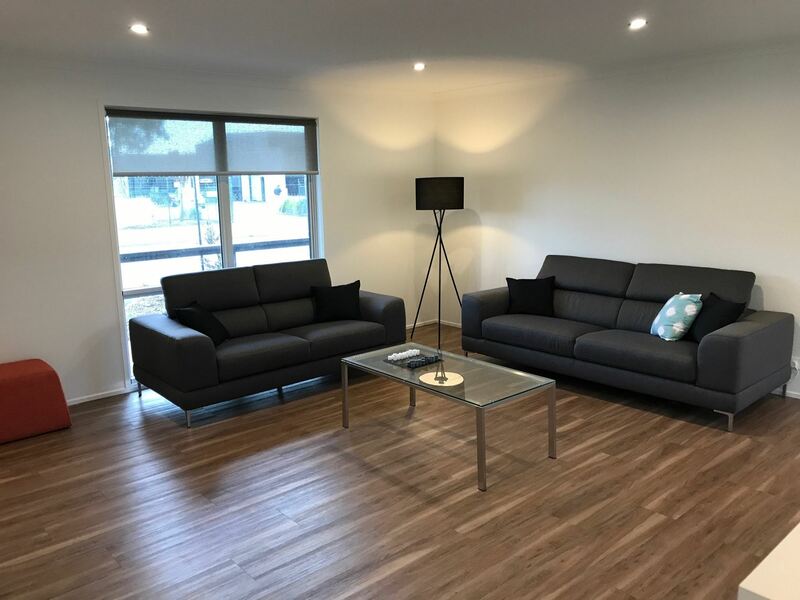 Our uniquely designed three bedroom granny flats outlast all other homes, thanks to the utmost care we take in ensuring their durability. Whether you intend to use the three bedroom granny flat to earn additional passive income or to accommodate your guests or family members, we have the right design and solution. Disabled Friendly Amenities including stepless shower bases, safety grab rails, hand-held showers, wider doorways, raised toilet and ramp with balustrade instead of steps. Uniquely designed granny flats that are easily relocatable or transportable. All of our homes, including the Sorrento 3 bedroom granny flat can be easily transported after removing the verandah. A dedicated colour consultant who will work with you to pick a colour that is perfect for your lifestyle, home design and décor.